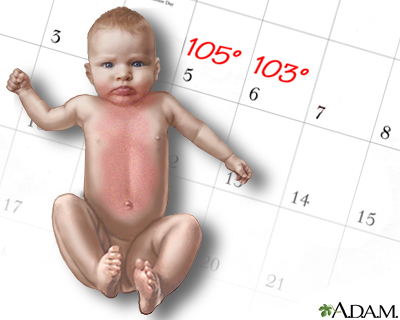 Roseola is a viral infection that commonly affects infants and young children. 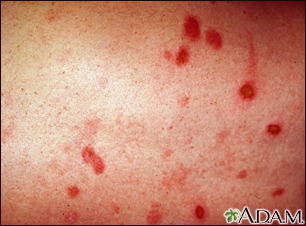 It involves a pinkish-red skin rash and high fever. 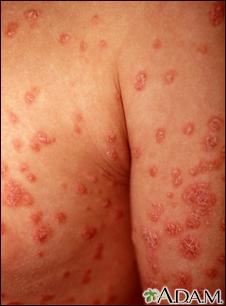 Roseola is an acute disease of infants and young children that is characterized by high fever followed by a rash that appears on trunk, limbs, neck and face. Cellulitis is a deep infection of the skin, usually accompanied by generalized (systemic) symptoms such as fever and chills. 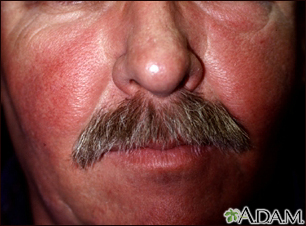 The area of redness increases in size as the infection spreads. The center of the circled lesion has been biopsied. 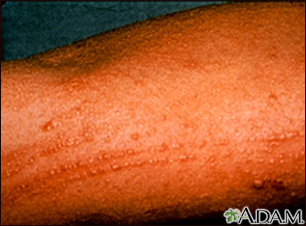 When redness appears in ring shapes on the body, it is referred to as erythema annulare, shown here on the forearm. 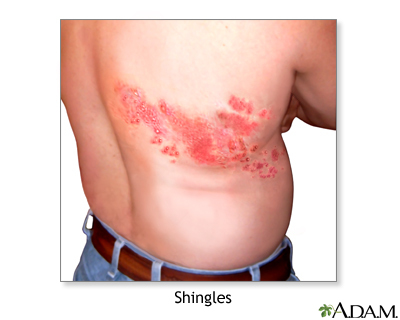 There are generally no symptoms, with the exception of mild itching (pruritus). It may be associated with serious diseases, but in the majority of cases, an underlying illness is never discovered. 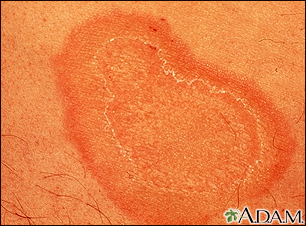 This is a typical early appearance of a poison ivy rash, located on the knee. 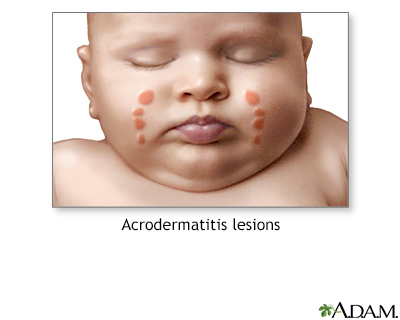 These early lesions consist of multiple small blisters (vesicles), often in a line where the skin has brushed against the poison ivy plant. 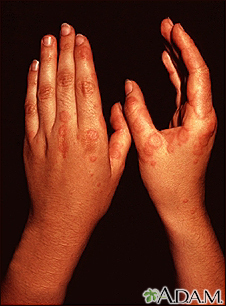 The person may then spread the toxin to other areas of the body by scratching.